If this is something you find yourself saying or thinking, you might be at risk of restricting your child’s food intake. This could bring about the very thing that you didn’t want to happen! Restrict the amount your child eats and they eat more, restrict the type of food (in front of them) they will want that food more. It’s essential that we stick to our own roles and let children control the amount they eat. This can be a very difficult urge to control for parents who base their own food intake on diet and restriction. We need satisfaction from eating! A toddler’s food intake (and everything else for that matter!) will be erratic. They may not touch some meals and the next they eat the house down. Your toddler being able to eat the foods they like in satisfying amounts gives eating stability. 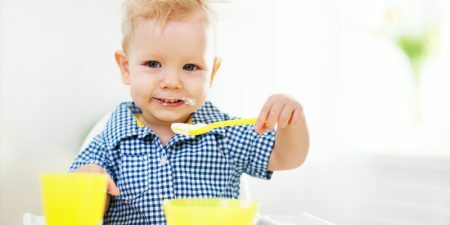 Toddlers will learn they don’t have to overeat as there is always the opportunity to eat as much as they need at meals. If they are given large meals they will eat until full and leave the rest. In a society consumed with diets and food restriction, we may think being relaxed about the amount our children eat at meals, may drive overeating and weight gain. NOT TRUE. 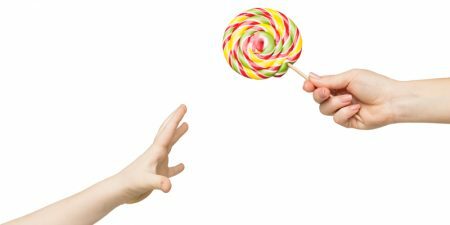 It may be us who have lost the ability to regulate appetite, can’t be trusted with lots of food in front of us and assume our children lack the same control. Your children don’t need to have the same battles as you. 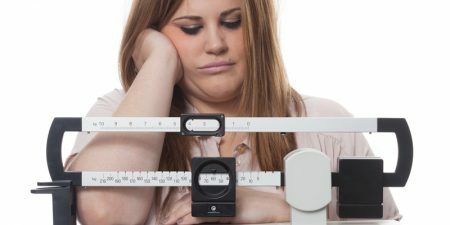 If we’ve struggled with weight and dieting, we may be more anxious about our child’s weight and feel we have to do something actively to control their intake. This will backfire. Research says if we think we’re overweight, we are more likely to control how much our child eats. 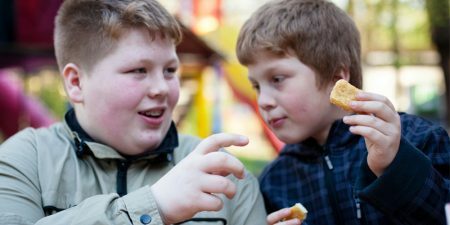 This results in children being more likely become overweight. Interestingly daughters have their intake controlled more than sons. The vicious cycle of weight management. 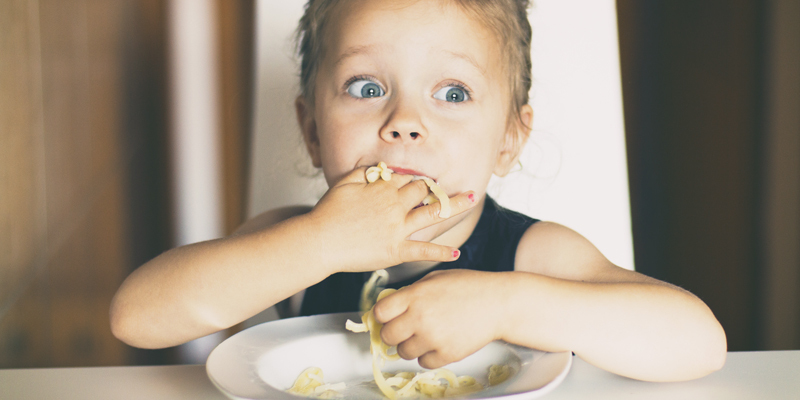 Controlling how much your toddler eats damages the feeding relationship with your child. Your child will be upset or angry with you limiting their eating and will find it very confusing. A toddler may have their food restricted through childhood. When those restrictions are lifted the child has no ability to know when they’re full and continues to overeat. You can’t control how much they eat throughout their whole lifetime! The underfed toddler becomes fixated on food and will overeat when they can. They will be used to leaving the meal not being satisfied so will overdo it as they won’t know when they will have access to enough food. So what action do we take? Make sure you have a good meal structure and no eating between meals (see our bit on meals here). Keep the faith with respect to feeding. Restriction that toddlers don’t know about (covert). Overt restriction refers to restriction that the toddler can see and is aware of. Drinking soft drink in front of your toddler but not allowing them any. Overtly restricting access to a highly-desired food has the short-term effect of reducing the amount of that food eaten. This makes your child want it even more. Research has found that when children have access to foods that were previously restricted overtly, overeating of that food occurs. Covert restriction is restricting the type of food a toddler eats in a way they aren’t aware of. For example, not having unhealthy snack foods in the house or not walking home past the pie shop. The child is not aware that the food has been kept from them. Covert restriction has been shown to reduce the unhealthy foods and drinks in a child’s diet. The change to food in the home or in the toddler’s routine simply results in fewer unhealthy foods and drinks in the child’s environment. Therefore they are less likely to eat them! Less access to unhealthy foods for your child may mean you eat better too and are able to be a better healthy eating role model. Restrict unhealthy foods and drinks in a covert way, rather than deny toddlers foods that are in clear view. Only keep foods in the house that you’re happy feeding your toddler. This may mean that you end up eating a healthier diet as well. If you do have some ‘adult snacks’ for when its adult time i.e. after the kids are in bed, then you need to find a good hiding spot for them. A cup cake at daycare “because it was Jilly’s birthday”. Once these foods have been offered, you have provided the opportunity to eat. You need to leave the decision to eat up to your toddler. If you don’t want these offerings to happen, change your routine or ‘have a word’. You took them to the party, therefore you provided them with the opportunity to eat. You can’t now restrict what your toddler has at the party. If you feel there is too much unhealthy food in your child’s life and you want to limit it, then a covert way would be to look at how many birthday parties you get invited to and limit them. There will be times when you’ll find it very difficult to restrict food in a way that the child is not aware of. Like a trip to the shopping centre, where they make sure your child knows where all the unhealthy foods are! There are times to create rules, be consistent with the rules so over time it becomes “not an option” Your child learns there is no chance i.e. 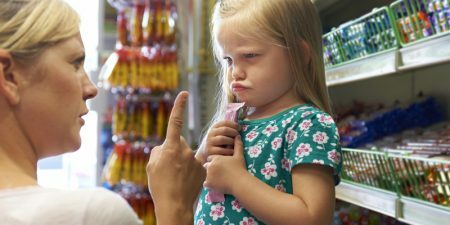 “we don’t get lollies while shopping“ make rules about what is normal.